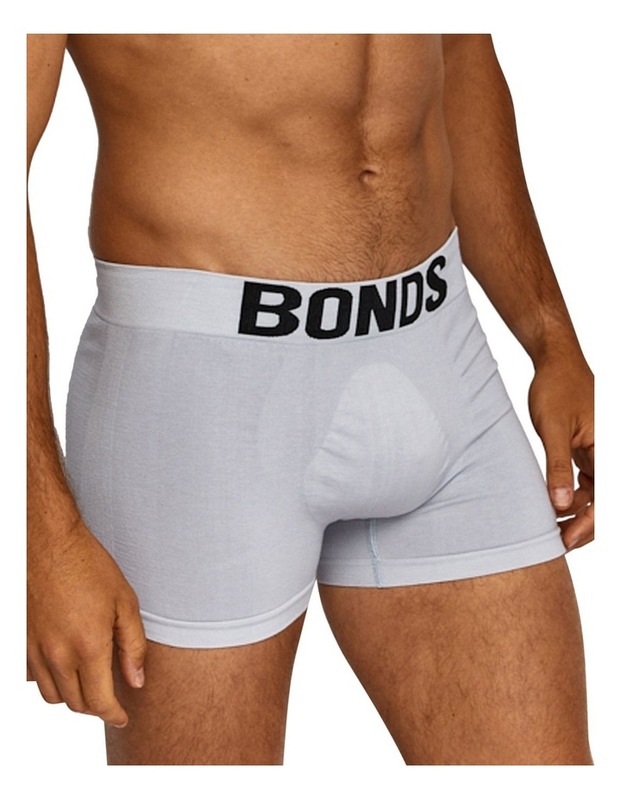 Offering a specially designed pouch and knit constructed waistband, our mens Side Seam Free Trunk will give you all the support you need. Made from cotton-rich fabric, they're every bit as comfy as they seam. ? 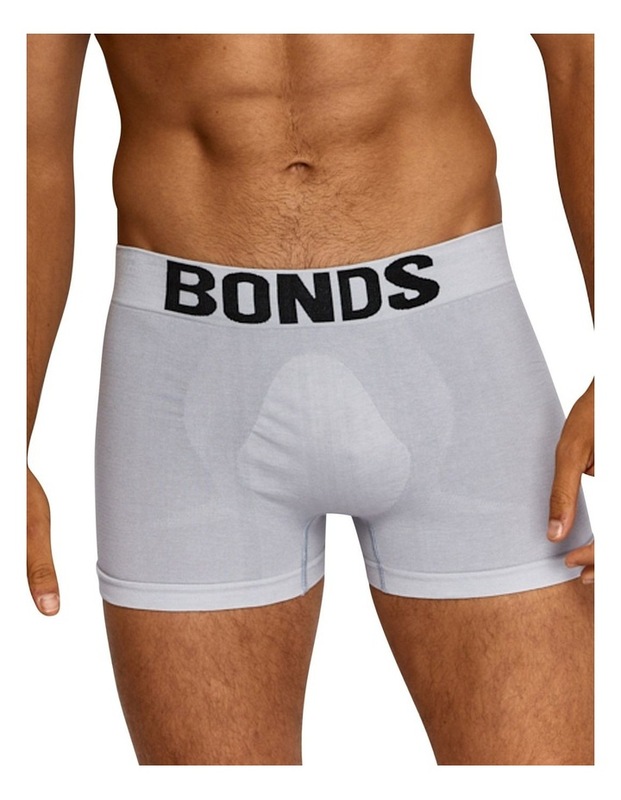 Regular fit mens trunk with seamfree sides ? Shaped pouch for extra room and support ? 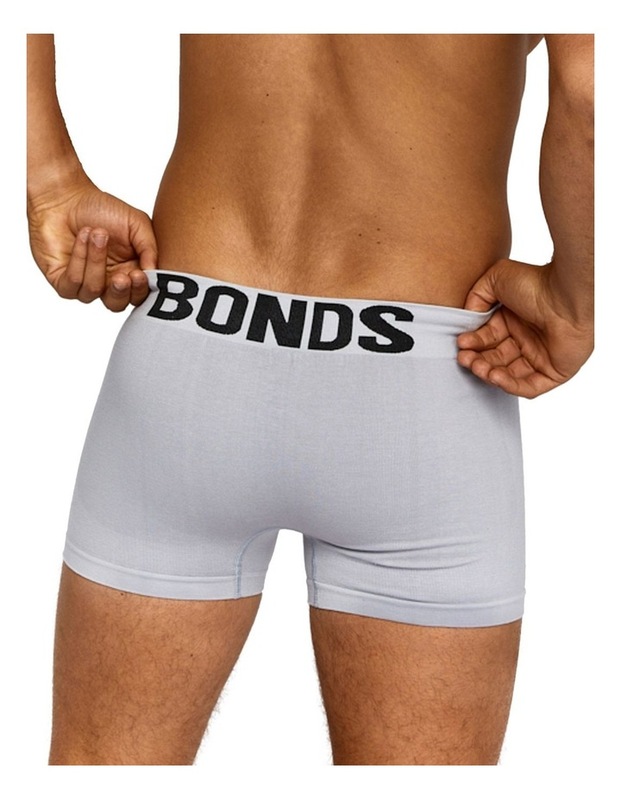 BONDS branded logo waistband? 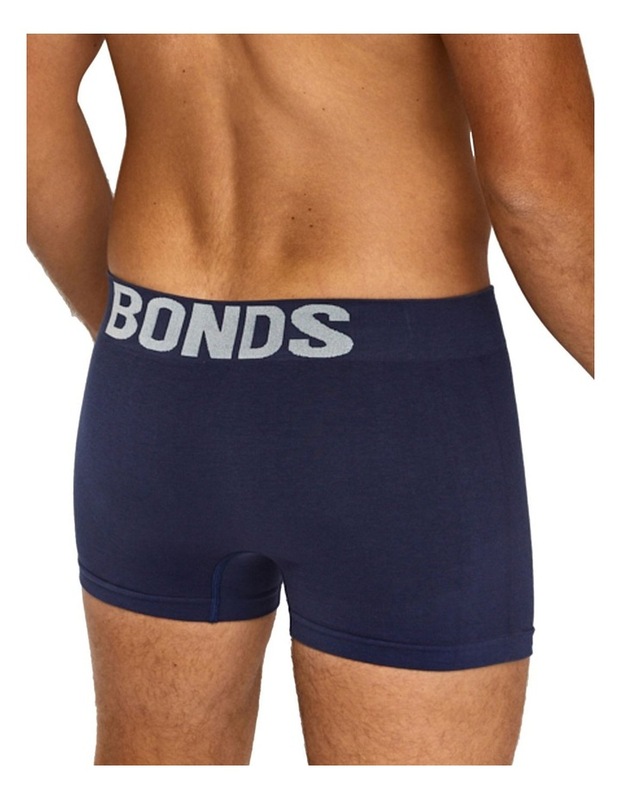 Soft, low profile waistband. Product Code: MXY7A. Material: Cotton / Nylon / Elastane / Polyester. Country: Designed in Australia. Made in China.